This is so cute in person! Our project for the Friday night event was this Ball pint jar full of cute stuff. Filter Paper under the lid and stamped for fun! Filter Paper fringe on each tag. One 1 x 8 cello bag creates 2 Sixlet candies. 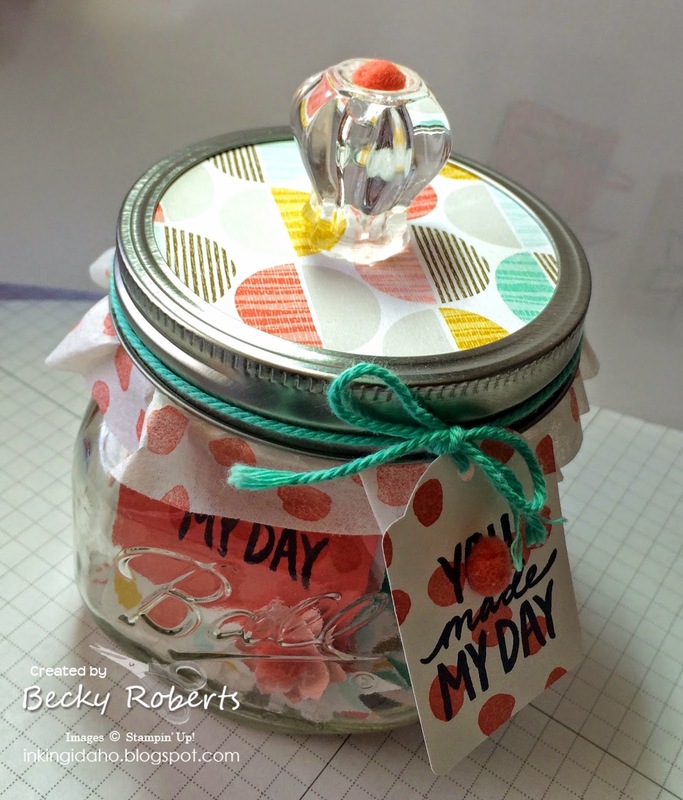 During the month of March, for all orders of $35 or more to my online store you will receive this tutorial on how to create beautiful stationary holder and cards called Kindness Matters. After you place your qualifying order, I'll send it to you via e-mail.